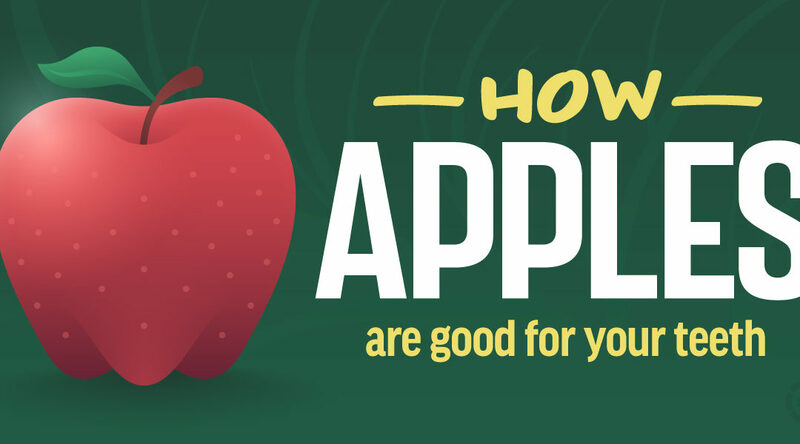 While it may not necessarily be true that those who eat apples never have to see a doctor, apples certainly have great health benefits for our bodies! Did you know they can even be good for our teeth? Good for our Teeth and Gums: Polyphenols and Antioxidants from Apples. We’re not too sure on this one, as some studies show a higher plaque content on teeth after eating an apple. At the same time, there is evidence to suggest some polyphenols in apples can lower the ability of cavity-causing bacteria to adhere to teeth. Further, some studies have shown that the antioxidants in apples can help prevent periodontal disease. Apples even contain a (very) small amount of fluoride. This is worth noting, as fluoride is so important in helping prevent cavities. Saliva Production Associated with Eating Apples. Lastly, the act of chewing an apple stimulates saliva production. Saliva helps wash away food debris and bacteria. Remember, though, apples contain sugar and acid so it’s best not to go overboard with them. Continuing Science, and Regular Dental Visits.